Are you thinking of adding value to your home? Maybe you have a project on the horizon? If you have any queries or would simply like to know more about how our planning service could benefit you, then come along to our special Planning Event on Thursday 17th August 2017. 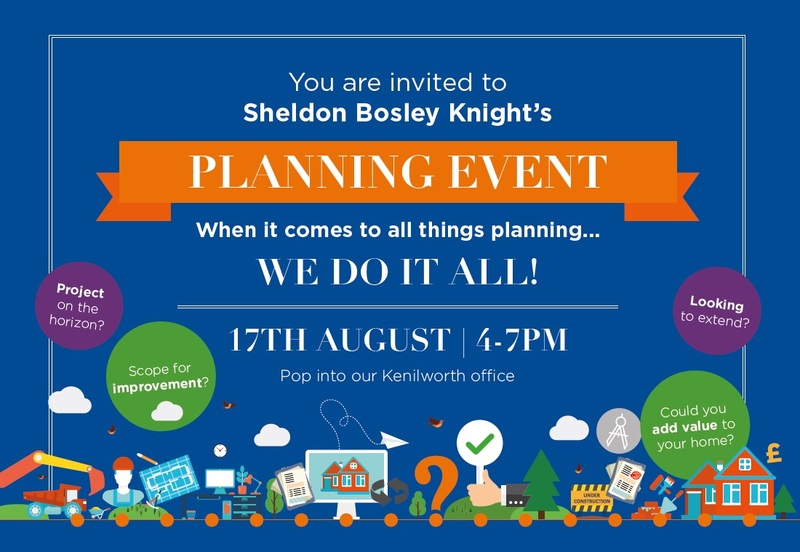 Our planning experts Sam Russell and Daniel Jackson, both directors of SBK, will be available from 4pm – 7pm at our Kenilworth branch to answer your questions. Please feel free to bring along any photos, plans and ideas that have and Sam and Daniel will be happy to assist you. There are so many different stages and types of planning that can involve a lot of work but we cover it all for you. ← We’re One! New faces, old faces, we’re better than ever!